CDs and DVDs are used for films, music albums, data and audio visual information. The varied uses of CDs and DVDs has increased the demand for CDs and DVDs. Thus as a result production has also increased. But the cost of manufacturing an original CD or DVD is pretty high. 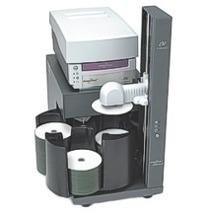 Thus alternative methods like CD/DVD replication and duplication have come into existence and are being regularly used. Duplication is a cheaper process of copying data to a readymade blank CD or DVD and is mostly used to meet personal needs or smaller requirements. Larger requirements, usually from commercial businesses, are met by the process of replication. CD/DVD replication is a process where new CDs or DVDs are made using a complex process which is done by a fully automated machine. The replication process is cost effective when used for producing a large number of copies. Thus when commercial organisations decide to give CDs or DVDs as complimentary gifts to their customers or when a book publisher decides to accompany every book with a complementary CD/DVD the method of CD/DVD replication is used. As the method of CD/DVD replication is fully automated, the companies providing replication services are capable of meeting any deadline. Moreover, they also provide good packaging services which make the CDs or DVDs look good and professionally made. Replication produces good quality CDs or DVDs which are used by various people and organisations to meet various requirements. This entry was posted on Tuesday, February 10th, 2009 at 3:46 pm	and is filed under CD Replication Articles.